Crowdfunding might sound easy, but launching a large crowdfunding campaign does NOT happen by accident. 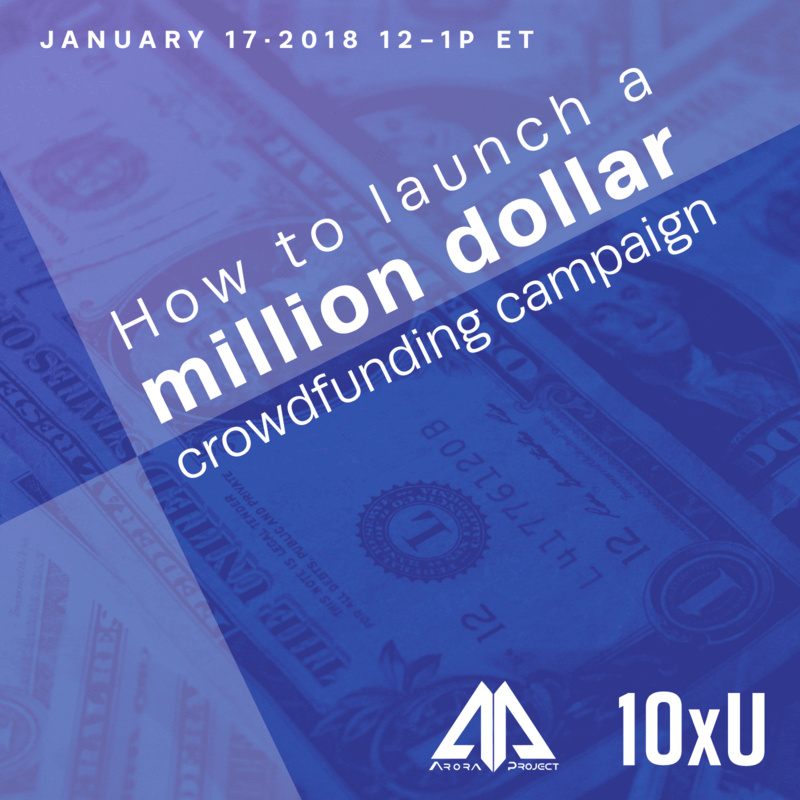 On January 17th join us for a collaborative event with 10xU and Krishan Arora, CEO & Founder of Arora Project, for a detailed breakdown on how to launch a million dollar crowdfunding campaign. * What Crowdfunding is, and its advantages and limitations. * What is reward crowdfunding? * What is equity crowdfunding? * Get clear, honest advice from leaders on how to achieve a 7 figure campaign. * How to best plan a crowdfunding campaign? Are you ready to launch one? >>You can attend in-person at the 10xU headquarters in Wynwood Miami—or join us online from anywhere in the world on Zoom link provided at registration. The workshop will be recorded, register if you would like to receive the recording. Who is Krishan Arora / Arora Project? Krishan Arora is a Harvard grad, an experienced digital marketer and currently the CEO & Founder of Arora Project (www.AroraProject.co). The Arora Project is an agency focused on launching successful crowdfunding campaign. Over the past 2 years, The Arora Project has raised $15 Million+ across 20 large crowdfunding campaigns on Kickstarter, SeedInvest and Indiegogo. Arora Project has an industry leading track record of 100% campaign success rate with 100% of our campaigns raising 6 figures and above. Prior to The Arora Project, Krishan served as the Co-founder / Chief Marketing Officer for 2 other funded start-ups and was on the Apple Education marketing team as well. Krishan’s skillsets are in the fields of growth hacking, data analytics, fundraising and digital marketing. 10xU helps people become world-class entrepreneurs by providing the education, mindset, and tools to launch and grow exponential companies—based on our experience building over 40 tech startups. We support business leaders through mentoring, innovative thinking, and connecting them to entrepreneur and investor communities all over the world. For more information, please visit www.10xU.com.